FIMOP is one-of-a-kind and very compact floor scrubber dryer with cylindrical brush. Ideal for professional cleaning. 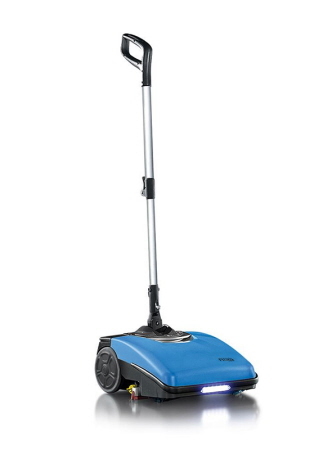 With its smart, compact design it allows for ease of reach into compact spaces. 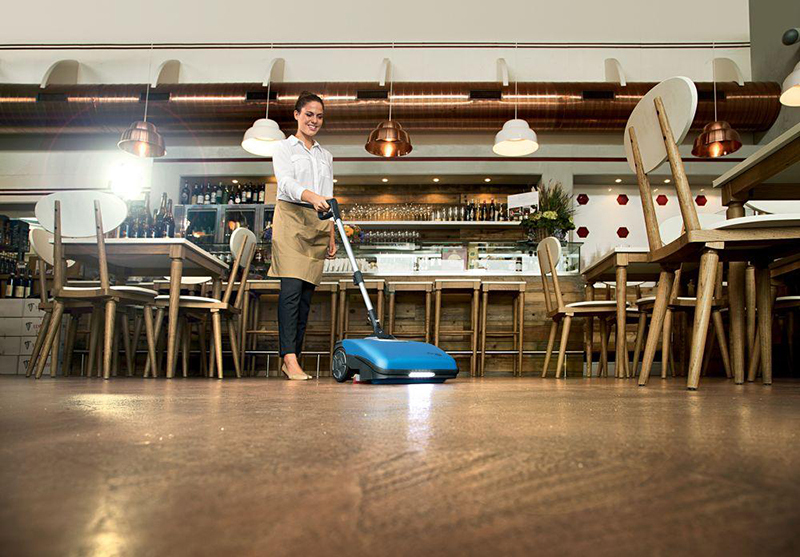 The ergonomic, anti-slip handle is adjustable to suit the operator. Lightweight design allows easy transport, including stairs. 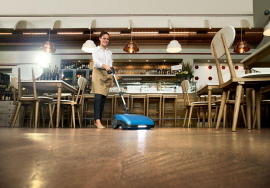 A versatile solution thorough cleaning of the entire floor area for all types of hard flooring. FIMOP is powered by a lithium ion battery, for easy and fast recharge at any time. In this way the machine is always available during the whole day and, being lightweight. it can be used for more interventions in different places. Working capacity up to sq.m.